Camping Burgen Burgen, Rajna-vidék–Pfalz ban található, fekvése Folyó vagy patak partján fekszik (legfeljebb 0,1 km). A kemping táborhelyekkel rendelkezik Parcelázott helyek, Árnyékos helyek, Árnyék nélküli helyek és Árnyékos helyek előfordulnak. Turistahajlék bérelhetők. A kempingben Gyerekjátszótér és Sportpálya. A sportolást kedvelő nyaralók részére a kemping kínálata: A kempingbol induló kerékpárutak. A kempingben Kültéri medence. A közelben található úszási lehetőségek: Fürdési lehetőség folyóban/patakban (legfeljebb 0,1 km). Ez az ellenőr minden évben felkeresi a(z) Camping Burgen kempinget és több mint 200 szolgáltatás és ellátás szempontjából ellenőrzi. Az ellenőr az ACSI munkatársa, és nem áll a kemping alkalmazásában. Nice campsite on the Moselle river and just outside burgen. The pitches are level. Good facilities with no push buttons in the showers. There is strictly no entry between 1-3pm and no noise either so don’t arrive at this time or you have to wait down the road. Very peaceful and good location for exploring the top section of the Moselle and burg eltz. We would use this site again. There are quite a few annuals but we find this is common for Germany. Beautiful setting on the banks of the Moselle. Overlooked by Bischofstein castle. Friendly and helpful staff. Small but well stocked shop. Sanitary facilities immaculate. Deservedly popular with international clientele. Some traffic noise. Level pitches. Very pretty location next to the Mosel. Easy to find using Sat Nav coordinates. Staff are excellent and speak English. They reserved a pitch for us after a phone call the day before. Toilet facilities are excellent and very clean. Would recommend this site as a base for touring this section of the Mosel. This campsite was excellent. Camping pitch was large and very well kept.The toilets and showers where excellent, plenty of hot water with taps you could turn on your self. Soap and toilet paper was provided. The cleaning staff where there several times a day. The Staff where very friendly. The little swimming pool was closed when we arrived. Also there was plenty of room for children to play ball games at the end of the campsite. There was also a shop that sold basic items including wine and beer. The pub opened on Saturday evenings. The cycle track ran past the campsite. this is a lovely area to visit. It did have train and road noise but you soon got used to it. We would use this campsite again. Lefoglalja a(z) Camping Burgen kempinget, vagy bővebb információt szeretne? Ezt az alábbi módon. 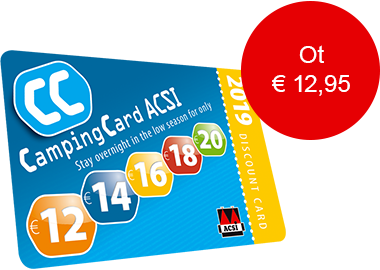 Az ACSI Eurocampings továbbítja az Ön információkérését a "Camping Burgen".